Relax, Big Blue Nation. Take a deep breath. Step away from the ledge. Stop staring at your Last Will and Testament, debating over which distant cousin gets your patio furniture or that weird painting no one can really understand. Stop pondering your “Do Not Resuscitate” options. That’s a bit drastic, don’t you think? As I write this, Kentucky is 15-4. I was just as surprised as the rest of you with the losses to UCLA, Ohio State, LSU, and Auburn. The burn was deep, like Ron Burgundy doing 1,000 bicep curls shirtless in his office. Believe me, I hate losing. I hate losing more than I like winning. I believe what we all failed to realize is that after last season’s brush with perfection, Kentucky was going to take a step back, and no amount of McDonald’s All-Americans or Canadian imports was going to change that. Coach Cal is a Hall of Famer, and while we like to think the man could reinvent a better wheel and cut a more efficient piece of sliced bread, he is not a miracle worker. This team is going to take time to figure out who they are and how to play to the best of their ability. I wouldn’t want any other basketball coach—alive or dead—to be Kentucky’s head coach. The pieces are there. The talent is there. 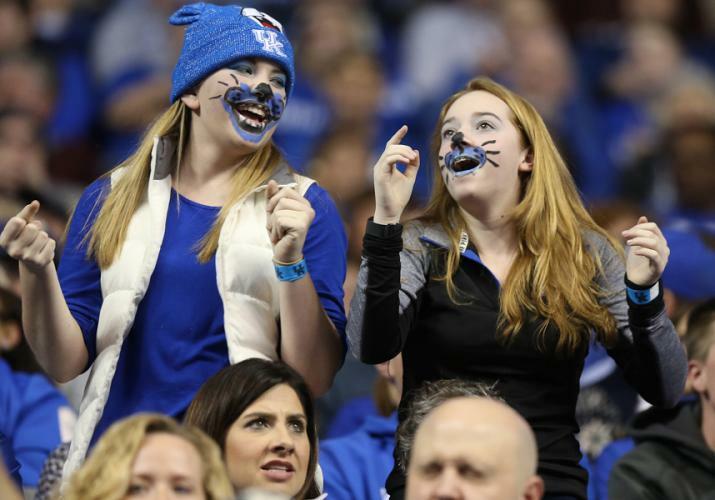 Even the experience is there, a rarity during the John Calipari Kentucky regime. What else has me being all “dude, relax” as Kentucky gets deeper into conference play? Backcourts win championships. Tyler Ullis is the best point guard in the country. His leadership during March Madness will be invaluable. Jamal Murray is getting better every game, and when he is hot, he is the kind of player that can single-handedly win games. Isaiah Briscoe can be the lockdown defender that shuts down the opponent’s best guard. Plus, don’t forget about Dominque Hawkins. The junior carried Kentucky to the win over Louisville. If Shabazz Napier and Kemba Walker have taught us anything over the years, it is that guard play must be solid to hang a banner. That is Kentucky’s strength. History shows Kentucky’s frontcourt plays best in March. Remember Marcus Lee in 2014? The freshman came off the bench and dominated Michigan in the first half of the Elite Eight matchup. Same goes for Alex Poythress during that amazing title game run. Lee and Poythress aren’t exactly the most popular guys amongst Big Blue Nation right now, but their records of strong March play speak for themselves. There isn’t a dominant team in college basketball this season. Last year, Kentucky, Wisconsin, and Duke were each head and shoulders above the rest of college basketball. This year, nobody seems to want to be #1. Parity is everywhere. There are a bunch of good teams. There are no dominant teams. Anyone can be beaten on any given night. The emergence of Derek Willis. If the junior from Mount Washington keeps playing hard and rebounds the ball the way he did against Auburn, he could be Kentucky’s most important player for the March Madness stretch run. A 6’-10” player with a sweet shooting stroke, feeding off penetrating guards with open looks from three point land, can win a team games. Let’s hope it is Willis. We have lots of season left, BBN. I like this team. Be patient, friends. Everything is going to be OK.